Are you dreading having to climb that ladder to clean out your gutters? Let A Perfect View do it for you! We can also wash your windows and power wash your home, deck, patio, and walkways! We really are your one stop shop for all of your exterior home cleaning needs! Our crews work with the owner Chris for years. 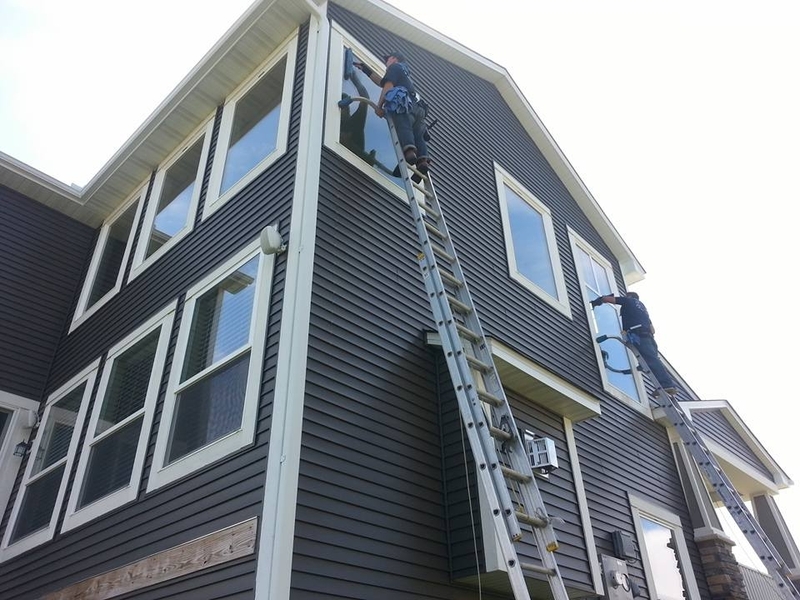 Chris has high stardards in quality and service with his window cleaning company actually making it look like your windows are open, siding looking new, and perfectly functioning gutters with gutter cleaning. Shakopee has a nice mix of homes in the area, with all different types of windows. We are highly experienced in cleaning all windows - from older french panes, to newer casement styles from all manufacturers! We also offer gutter cleaning. Gutter cleaning is a very import service that usually gets overlooked. It should be done a couple/few times a year to prevent any overflowing water from leaking into and damaging your home.